More than 35,000 orchid species exist and these delicate flowers are recognized as a symbol of beauty and love. Whether you cut orchids from your own greenhouse or received them as a gift, keeping the attractive blooms looking their best requires a flower preservative. By making one of these homemade preservatives you can help the blooms retain their fresh look and fragrance longer. Orchid have exotic-looking blooms available in many colors. 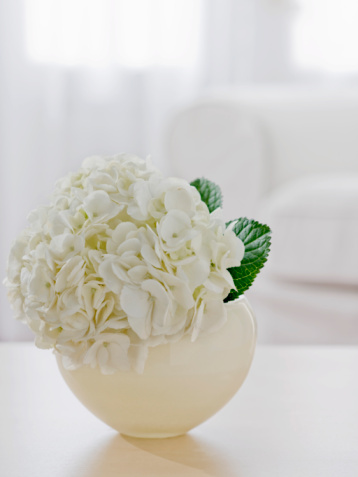 Wash a vase with warm, soapy water to ensure it is clean and contains no bacteria. Cut the orchid stem on a diagonal with pruning shears or a sharp knife. Don't use scissors as they can crush the stem and affect the flower's water intake. Add 1 tsp. each of sugar and chlorine bleach to 1 qt. of lukewarm water in a 2-qt. pitcher. Squeeze a fresh lemon or lime and add 2 tsp. of the juice to the mixture. Fill the flower vase with enough of the preservative solution to cover half the stem lengths. Replenish the water level once it goes down. This helps keep the orchids looking their best. Wash a flower vase thoroughly and dry it. Pour one can of lemon-lime carbonated beverage into a 2-qt. pitcher. Add 1 tbsp. of sugar, approximately seven or eight drops of hydrogen peroxide and 1 liter of lukewarm water into the pitcher. 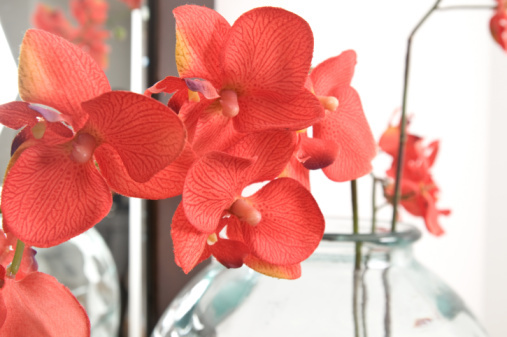 Cut the orchid stem on a diagonal and place it into the flower vase. Fill the vase with the preservative mixture until it is halfway up the orchid stems. Cover the container and reserve any remaining solution to refill the vase. Check the water level every couple of days and replenish it with the reserved preservative.